Really nice dining room with a great view of the city of corner brook. I would highly recommend the Quality Inn to anyone travelling to Corner Brook. 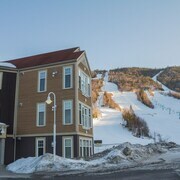 Hotel is also located right in Corner Brook and is a short drive to restaurants, stores etc. Great locations for events in Corner Brook. 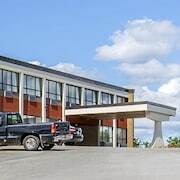 Where to find Corner Brook hotels near an airport? 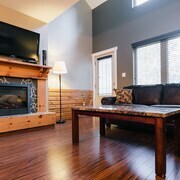 Where can I find hotels in Corner Brook that are near tourist attractions? 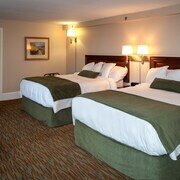 Are you arranging to spend some nights in Deer Lake - Corner Brook? Hoping to find accommodation in or near Corner Brook? Corner Brook features 5 quality hotels and apartments, all within 0.1 kilometres (0.06 miles) of the downtown area. 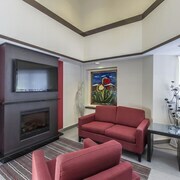 Travelers searching for a hotel close to downtown Corner Brook will love the location and amenities of the Greenwood Inn & Suites. 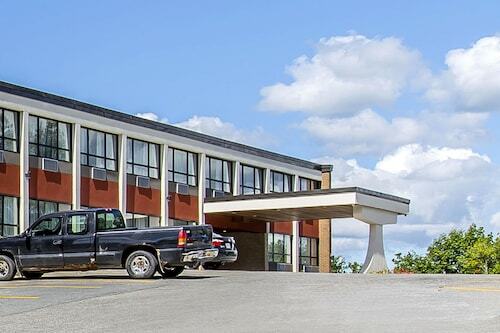 The Glynmill Inn is 0.8 kilometres (0.5 miles) from the heart of Corner Brook. Alternatively, the Comfort Inn can be found 3 kilometres (2 miles) away. 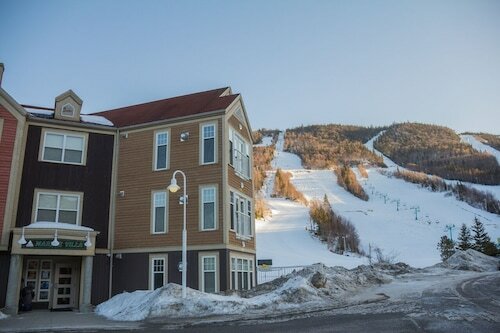 The Marble Villa at Marble Mountain Resort and also the Marble Inn Resort are other alternative options around Corner Brook. Looking to go a little further afield? Newfoundland offers many things to see. Enjoy Newfoundland's rivers, streams and lakes. You should also explore some of the region's old towns, cathedrals and art museums. In this region of Canada visitors can enjoy snowboarding and skiing. 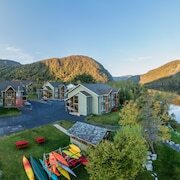 Situated 10 kilometres (6 miles) to the east of Corner Brook is Steady Brook, which has a variety of hotels. Options here are the Georges Mountain Village and Marblewood Village Resort. Get your fix of local sport with a visit to Stephenville Dome, which is 60 kilometres (39 miles) to the southwest of Corner Brook. Those sports fans wishing to sleep close by can take their choice from the Days Inn Stephenville or the Dreamcatcher Lodge. Deer Lake Regional Airport is a logical airport for flying in and out of Corner Brook. It is 50 kilometres (31 miles) drive away. If you choose to stay nearby, try the Holiday Inn Express Deer Lake or Deer Lake Motel. What are the most popular Corner Brook hotels? Are there hotels in other cities near Corner Brook? 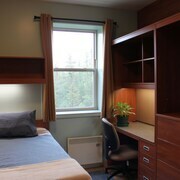 What other types of accommodations are available in Corner Brook? 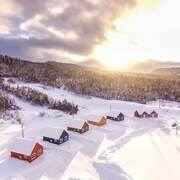 Explore Corner Brook with Expedia.ca’s Travel Guides to find the best flights, cars, holiday packages and more!